Ram Treat Bags for Eid al Adha – Hello Holy Days! 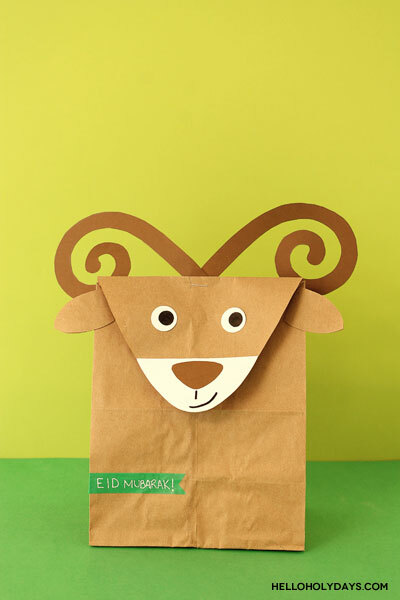 These adorable ram paper bags for Eid al Adha are practical party favors that will surely delight kids. If you’re familiar with the story behind Eid al Adha, you’ll know that a ram is central to the story. For me, when it comes to decorating or crafting for holidays, I like to come up with projects using symbols that can directly connect back to the story or traditions of the holiday. That’s why I love these ram paper bags for Eid al Adha! 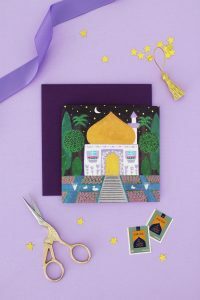 Apart from being practical favors to hand out at your Eid party this year, these baggies can act as a great segway for parents and kids to get talking about the story behind Eid al Adha and learn more about the holiday. Plus, because I’ve used large sized paper bags for this project, you can fill up the paper bags with whatever you like! Here I went with a mix of edible and non edible treats and filled the bags with bubbles, playdough and cookies. 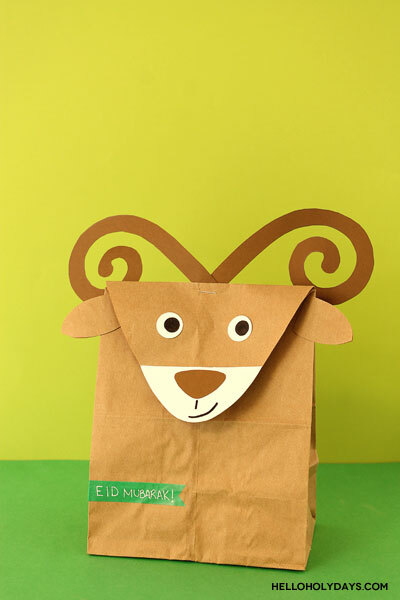 This craft is easy enough for kids ages 6+ to make themselves so you can even set up a craft station at your Eid party and have kids make their own ram paper bag. Set out a basket with treats and have kids fill up their decorated ram paper bag on their own for a truly memorable experience for the kids. Depending on the age of the kids, you may need to cut out all the parts in advance and have them glue it. As an optional touch to the baggies, you can add washi tape labels and write Eid Mubarak on it with a gel pen as seen below. Watch video tutorial of how to make ram treat bags for Eid al Adha.